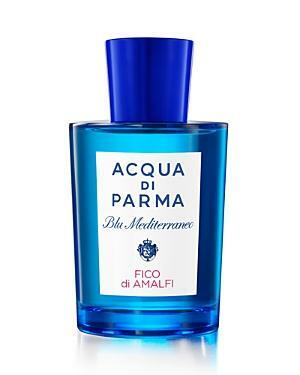 Acqua Di ParmaAcqua Di Parma Fico Di Amalfi Eau De Toilette Spray 2.5 Oz. The Amalfi coast. One of the most breathtaking places on Earth. The fragrance has a strong energizing effect. A unique combination of notes of bergamot, lemon, grapefruit, and citron, fig nectar, pink pepper, and jasmine petals are blended at the heart followed by base notes of fig wood, cedar wood, and benzoin. Acqua Di Parma Mirto Di Panarea Eau De Toilette Spray 2.5 Oz. Acqua Di Parma Arancia Di Capri Eau De Toilette Spray 2.5 Oz. Acqua Di Parma Mandorlo Di Sicilia Eau De Toilette Spray 2.5 Oz. Acqua Di Parma Bergamotto Di Calabria Eau De Toilette Spray 2.5 Oz.